Summary: A large scale SPECT imaging study reveals women’s brains are significantly more active in more regions than males, including the prefronal cortex and limbic areas. Visual and areas associated with coordination were more active in males, researchers noted. 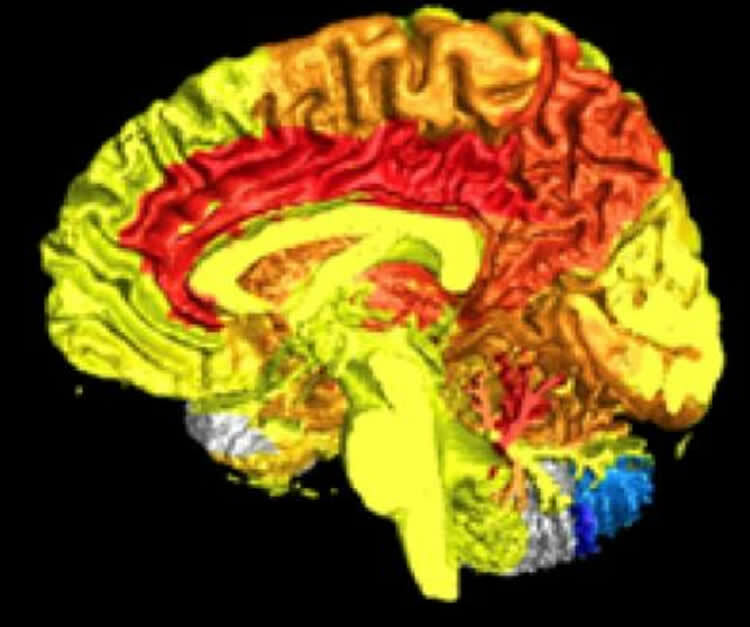 Largest functional brain imaging study to date identifies specific brain differences between women and men, according to a new report in the Journal of Alzheimer’s Disease. Understanding these differences is important because brain disorders affect men and women differently. Women have significantly higher rates of Alzheimer’s disease, depression, which is itself is a risk factor for Alzheimer’s disease, and anxiety disorders, while men have higher rates of (ADHD), conduct-related problems, and incarceration (by 1,400%). Image Source: NeuroscienceNews.com image is credited to Journal of Alzheimer’s Disease. Additional information about the study can be found here. IOS Press “Women Have More Active Brains Than Men.” NeuroscienceNews. NeuroscienceNews, 7 August 2017. IOS Press “Women Have More Active Brains Than Men.” women-brain-activity-7253/ (accessed August 7, 2017). Background: Studies have reported that females have widespread increases in regional cerebral blood flow, but the studies were relatively small and inconsistent. Objective: Here we analyzed a healthy and very large psychiatric population to determine the effect of gender, using single photon emission computed tomography (SPECT). Methods: Whole brain and region of interest (ROI) gender differences were analyzed in a total of 46,034 SPECT scans at baseline and concentration. The sample included 119 healthy subjects and 26,683 patients; a subset of 11,587 patients had complete diagnostic information. A total of 128 regions were analyzed according to the AAL Atlas, using ROI Extract and SPSS statistical software programs, controlling for age, diagnoses, and correcting for multiple comparisons. Results: Compared to males, healthy females showed significant whole brain (p < 0.01) and ROI increases in 65 baseline and 48 concentration regions (p < 0.01 corrected). Healthy males showed non-significant increases in 9 and 22 regions, respectively. In the clinical group, there were widespread significant increases in females, especially in the prefrontal and limbic regions, and specific increases in males in the inferior occipital lobes, inferior temporal lobes, and lobule 7 and Crus 2 of the cerebellum. These findings were replicated in the subset of 11,587 patients with the effect of diagnoses removed. Conclusions: Our results demonstrated significant gender differences in a healthy and clinical population. Understanding these differences is crucial in evaluating functional neuroimaging and may be useful in understanding the epidemiological gender differences among psychiatric disorders. I cannot believe the bigotry of this study, that there are biological differences between men and women. What do you think you are, a Google engineer?